Two bills opposing offshore oil drilling plans in federal waters off the California coast officially became law, as Gov. Jerry Brown signed SB 834 and AB 1775. SACRAMENTO — California dug its heels into the sand yet again, making its opposition to Pres. Donald J. Trump’s plan to explore offshore drilling opportunities official. Gov. Jerry Brown signed two bills seeking to block a federal plan to pursue offshore oil drilling on public lands off the California coast into law, Sept. 8. State Sen. Hannah-Beth Jackson, D-Santa Barbara, and Assembly member Al Muratsuchi, D-Torrance, introduced Senate Bill 834 and Assembly Bill 1775, respectively, earlier this year; both bills hit the legislative floor almost immediately after the Trump administration announced its intentions to explore offshore drilling opportunities. Both bills specifically prevent the issuance of new leases to build offshore infrastructure (i.e. pipelines) within state waters for oil and gas exploration. Brown’s signing of SB 834 and AB 1775 is the latest move in a series of events occurring after the Trump administration announced plans to seek new offshore oil drilling opportunities. The California governor joined his counterparts in Oregon and Washington earlier this year to condemn the Trump administration’s plans. California’s chief executive also challenged the U.S. Bureau of Land Management’s plan to seek new public lands and mineral estates for oil and gas lease sales, according to Brown’s office. Florida also went toe-to-toe with the Trump administration’s offshore oil drilling plans, citing the 2010 Deepwater Horizon disaster in the Gulf of Mexico as evidence of what could go wrong with such exploration efforts. New leases for the extraction of oil and gas from California’s state waters have been illegal for years. 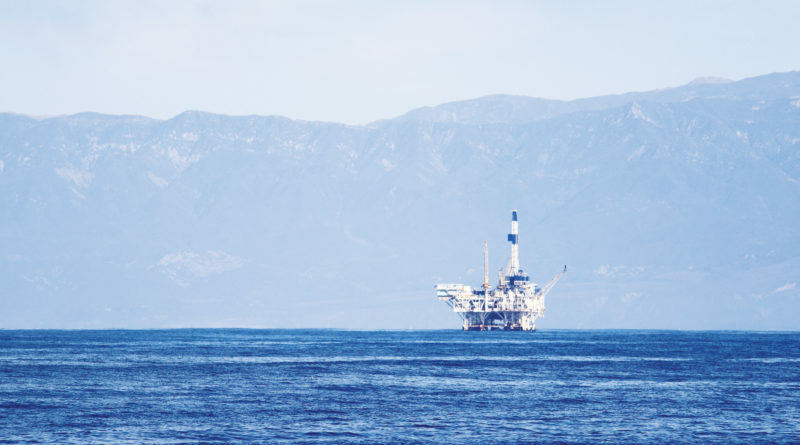 Efforts to stop offshore oil and gas extraction off California’s coast began in earnest in 1969, after 3.2 million gallons of crude oil was released into the ocean and onto the state’s waterfront near Santa Barbara. Also signed into law was Assembly Bill 2864. The proposal, which was advanced by Assembly member Monique Limón, D-Santa Barbara, improves damage assessment and mitigation measures of oil spills directly affecting coastal resources. Each bill was signed just head of the Global Climate Action Summit, which was held Sept. 12-14 in San Francisco. The summit connected state and local leaders with investors, nonprofit organizations, scientists and students to discuss the next steps in addressing climate change around the world.